Welcome to the SAWE Southeast Region! Serving the Mass Properties Community in the Southeast United States Since 1982. In 1982 the Atlanta Chapter of the Society of Allied Weight Engineers was created to serve those Mass Properties Engineers primarily affiliated with Lockheed Martin and Delta Airlines in the Atlanta area. 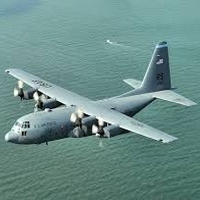 The chapter included members with backgrounds in military transport and fighter aircraft, as well as airline operations. 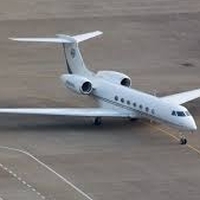 As the membership shifted away from Atlanta, a new focal point was created in Savannah, Georgia to serve those primarily at Gulfstream Aerospace, as well as others in the commercial aircraft and space community. The Chapter was renamed and expanded to include all of Georgia, South Carolina, North Carolina, Florida and Alabama. With the rise of new Chapters in Florida and Alabama, our Chapter now encompasses Georgia, South Carolina and North Carolina. 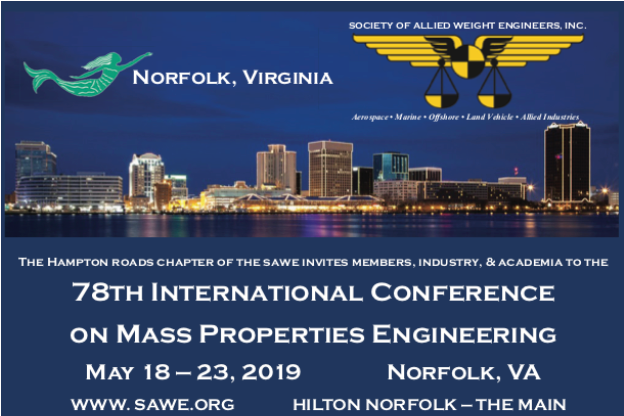 We welcome all those interested in estimating, calculating, managing and measuring the mass properties of all types of products from the aerospace, land, offshore, marine and other allied industries. 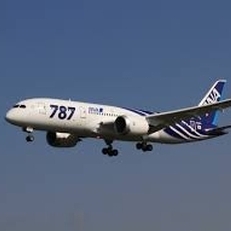 We are especially excited that members from Boeing in South Carolina are now part of our chapter. Our goal is to provide our members a place to meet others in the Mass Properties field, and share ideas, innovations and opportunities. 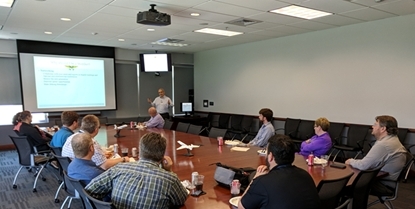 March 25, 2019 Chapter Meeting - For our 1st Chapter Meeting of the year, Nathan Hewitt from Gulfstream delivered a very interesting presentation on Methods and Tooling for Measuring Weight and CG of the G500 and G600 Winglets. 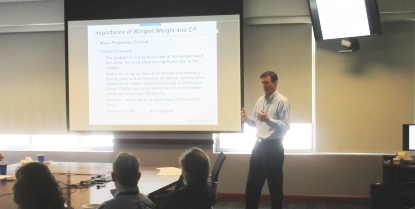 This Lunch and Learn topic highlighted not only the fixture used, but also the math required to transform the as measured configurations into aircraft coordinates. Click below to view the presentation. December 13, 2018 Chapter Meeting - We had a sold-out "Dinner with the President" end of year event with Bill Boze, our SAWE International President and Executive Director Elect. 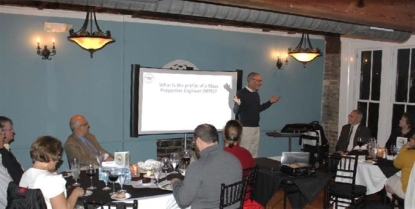 Bill provided an informative and entertaining presentation entitled Everything You Wanted to Know About Mass Properties Engineering but Were Afraid to Ask. The meeting was held at Vic's on the River; one of Savannah's premier fine-dining restaurants. Click on the picture to view more photos of the event. Click below to view the presentation. 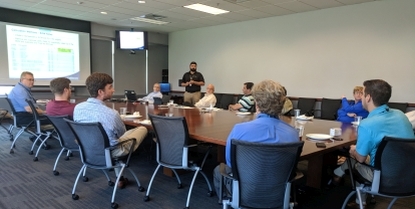 September 27, 2018 Chapter Meeting - Tom Tanner from Gulfstream gave a very interesting Lunch and Learn presentation on Electrical Wiring Interconnect System (EWIS) Mass Properties Management and Regulations. The meeting was held at Gulsftream, and we had 14 people attend in person, and 1 via Webex. Click below to view the presentation. June 14, 2018 Chapter Meeting - Damian Yanez gave a presentation that included a summary of the history of our Chapter and the benefits of being a member. The meeting was held at Gulsftream, and was well attended. Our Chapter supplied pizza and drinks, and we picked up four new members. Click below to view the presentation. Build your knowledge! Improve your skills! Advance your career! Download technical papers and publications from the SAWE International Website. Join the conversation at the SAWE International Blog Site. Update your membership information, and pay your annual dues at the SAWE International Website. Please feel free to contact us about our chapter, our professional society, or mass properties in general using the email links provided or the Contact link below. We welcome your input!